A classic western boot for the up and coming young cowboys and cowgirls! The R-toe is a rounded just enough to be comfortable for children. Parents love the Ariat Booster Bed™- EVA insert below footbed can be removed to give your kid's feet extra wiggle room as their feet grow. 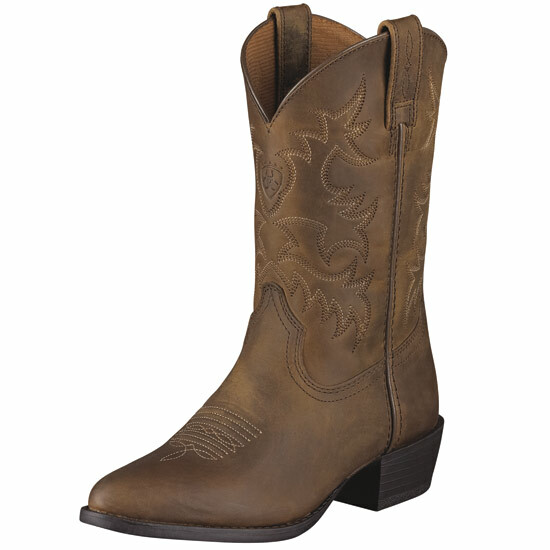 The Ariat Herritage is a cowboy boot that kids love! Ariat 4LR Technology™ for all day comfort and support. TPR outsole is durable and lightweight. Ariat Booster Bed™-EVA insert below footbed can be removed to give your kid's feet extra wiggle room as their feet grow .